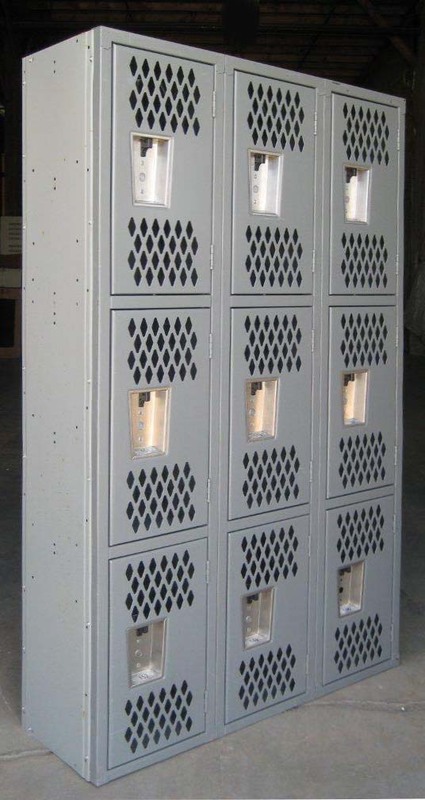 These 3 Tier Locker are available on www.buyusedlockers.com where they have a huge selection to choose from if we need additional supplies. 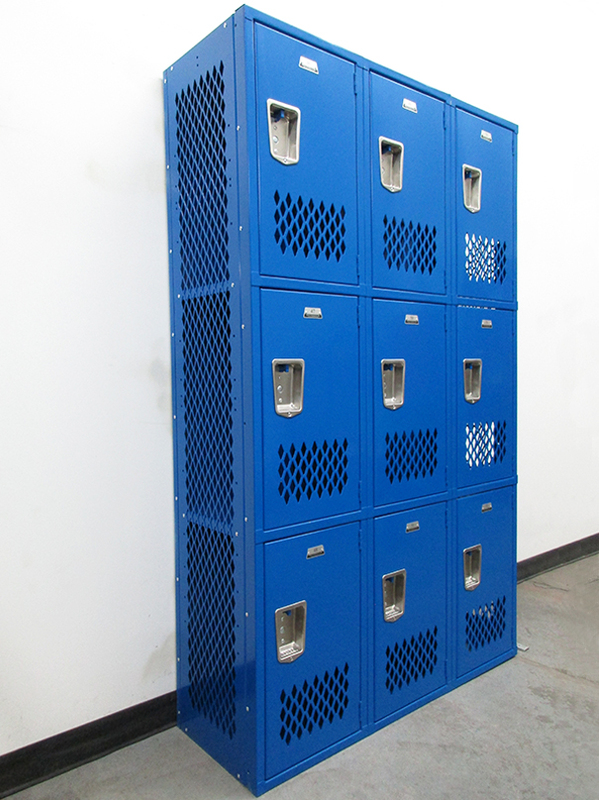 This 3 tier locker set is perfect for a wide range of storage applications and is most commonly used in locker rooms, schools and gyms. These gym lockers feature heavy duty construction and ventilation on both doors and side panels. The diamond perforations encourage daily air flow, making them suitable for high humidity settings. Each locker column features three compartments that are equipped with steel hooks inside. 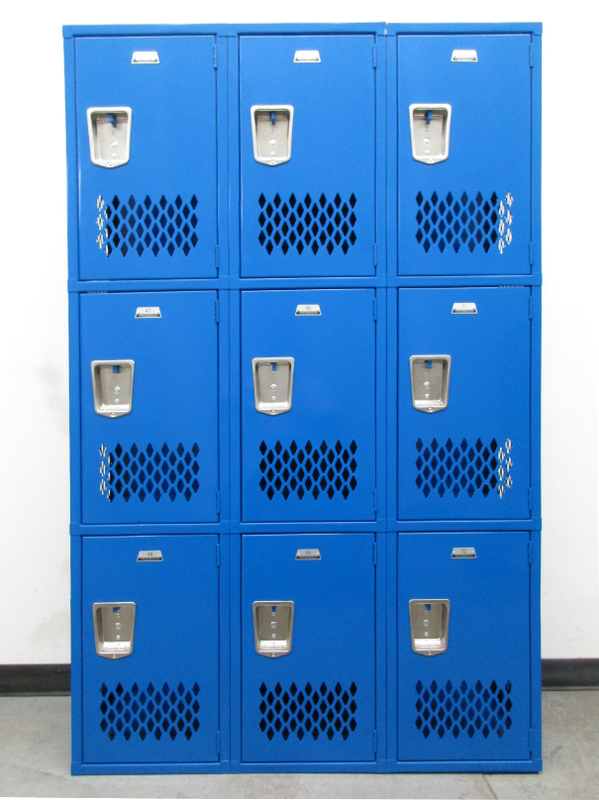 The bright blue finish is still in great shape with very minor signs of wear and functionality is comparable to new lockers without the retail cost. Doors include recessed, stainless steel handles and can be secured using padlocks or combination lock types. 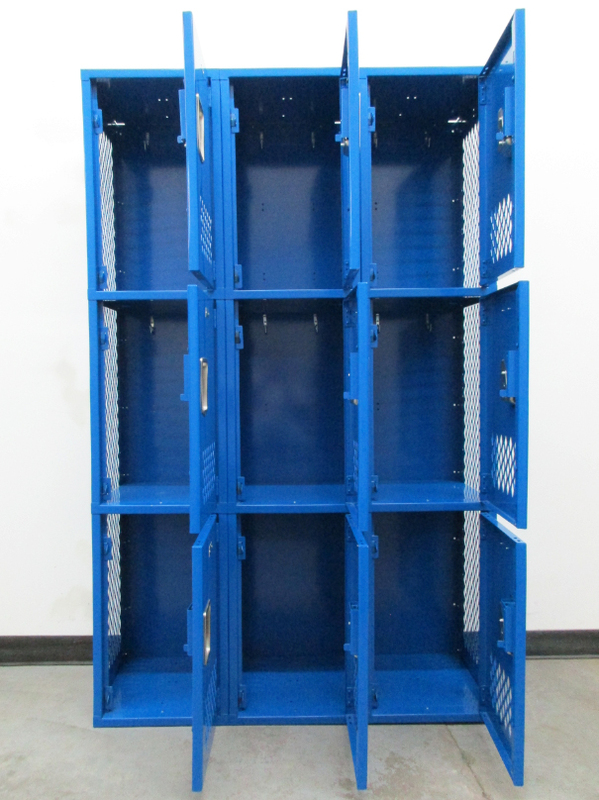 Lockers are purchased in vertical columns and sold in sets of 3-wide (9 doors) or 4-wide (12 doors).